The December quarter saw a steep fall in international metal prices. This led to cheaper imports, adding to the woes of Indian manufacturers. Hindalco Industries also had to contend with its own issues in the absence of meaningful volume growth. During Q3 FY19, the company reported a mere 8 percent year-on-year growth in revenue. 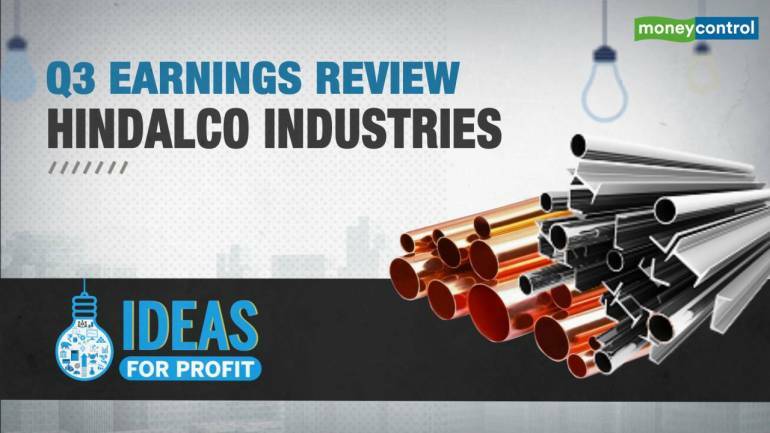 Aluminium, which accounts for almost 50 percent of its standalone revenue, was impacted due to drop in international prices to $1,968 a tonne in Q3 FY19 as against $2,102 per tonne YoY. Moreover, sale volumes dropped marginally to 323,000 tonne as against 325,000 tonne in the corresponding quarter last year. In its copper business, sales fell to 99,000 tonne in Q3 FY19 from 102,000 tonne YoY. However, strong sale volumes of copper rods, up 40 percent YoY, led to an about 4 percent growth in the copper business. While the management maintained sales for the segment, profitability dropped marginally. During Q3, segmental earnings before interest, tax, depreciation and amortisation (EBITDA) grew a mere 2.4 percent and EBITDA margin dropped 11 basis points (100 bps=1 percentage point). This largely reflects the pricing environment with international copper prices dropping close to 10 percent in the December quarter to $6,172 a tonne. Despite these pressures, thanks to better product mix, the management was able to grow its standalone and Utkal Alumina International EBITDA by close to 4 percent to Rs 1,926 crore. That apart, it repaid some of its loans, which resulted in a 12 percent dip in its finance cost to Rs 540 crore. During Q3 FY19, Novelis reported a percent improvement in overall shipments to 800,000 tonne, led by strong aluminium demand and better product mix. This resulted in better revenue growth. It reported a revenue of $3 billion as against $2.9 billion YoY. The company saw an improvement in profitability, with EBITDA per tonne increasing 5.2 percent to $403 a tonne. Novelis' EBITDA stood at $322 million or Rs 2,300 crore, which is close to or higher than Hindalco's standalone (including Utkal Alumina) EBITDA of Rs 1,926 crore in Q3 FY19. With regards to its recent acquisition of Aleris, the management said that it is obtaining regulatory approvals and the transaction is expected to be closed by Q2 FY20. Hindalco is sitting on a gross debt of about Rs 22,800 crore, which after adjusting for Rs 6,500 crore of cash on its books comes to a net debt of Rs 16,300 crore. The management intends to maintain higher liquidity in light of its fluctuating working capital requirements but also intends to reduce its debt and improve coverage ratios. The December quarter saw volatility in metal prices on trade war concerns. Metal prices have stabilised after that. While there could be more volatility in light of concerns over global economic growth and trade war concerns, the supply-side situation and low inventory in the non-ferrous metals space should protect the downside. However, the demand scenario, particularly in light of cheap imports, would restrict the upside, thus limiting earnings growth. At the current market price of Rs 198, or 7 times its FY20 estimated earnings, and 3 percent annual EPS growth estimated during FY18-20, the stock offers limited scope for appreciation.